The time has come for Westminster alumni to nominate their fellow graduates for the College’s most prestigious alumni recognitions: the annual Alumni Achievement Awards. The awards will be presented during Alumni Weekend, April 19-22, 2018. 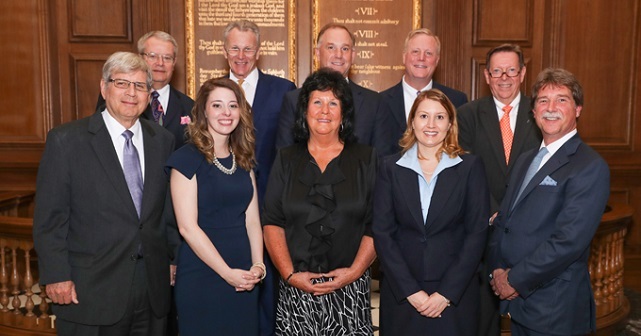 Alumni who have distinguished themselves through personal or professional achievements and whose accomplishments reflect the mission of Westminster College. Young alumni who have already made their mark in their profession or through volunteerism. Alumni who are devoted to Westminster College and have demonstrated their devotion through contributions of time, talent, and treasure. Nominations must be submitted by Friday, August 11, 2017. View 2017 winners and award descriptions here.